NiceLabel Suite is a fully-featured, modular labeling solution for label design, integration and professional printing requirements. A wide range of options make NiceLabel Suite a perfect and easy-to-use, wizard driven tool for any labeling requirement, including RFID, compliance labeling and more. 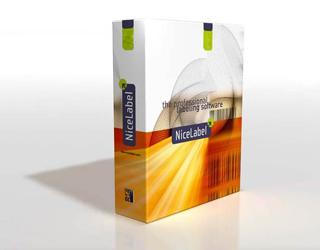 NiceLabel Suite includes NiceLabel Pro - fully-featured Label Design Software. Printing pre-designed labels is an easy task with NicePrint - a simple and efficient printing application that provides a pre-designed NiceForm type application. Create labels once and print them anywhere on the network with NicePrint. At times automated printing is required in a multi-operating system environment (Unix, AS/400, Host, etc.) or complex application environments (ERP, WMS, etc. ), where it is not possible to write program code using Automation commands. Deploying NiceWatch, a powerful data detection module, provides an affordable solution in these situations that acts as middle-ware on a Windows-based PC. A powerful database manager allows the user to create and edit database tables and import data from text files to database tables. Maintain your customer or product database the easiest way possible. NicePrintQueue is a print job manager module that allows you to check the real-time status of all network and local printers you use. Even more, you can move your print jobs between printers with simple drag-and-drop action and print your labels on other available printers. Use NiceMemMaster to download TrueType fonts and graphics to a printer's internal memory. It will boost printing performance from NiceLabel and allow any other application to use selected fonts and graphics.